Ever since Cristiano Ronaldo moved to Manchester United several years ago, many people started pointing that the Portuguese rising star lacked the end-product that was needed to become a great player. As time passed, Ronaldo became one of the most impressive goalscorers in the game and most of the critics turned against his lack of consistency in the big games. Once again, CR7 has proved them all wrong as we will be striving to show below. If there's a player on this sport who seems to carry the weight of the world on his shoulders, that's surely Cristiano Ronaldo. Used to be at the center of the atentions since a very young age, the Portuguese forward has soon learned to deal with critics that came from many different media sources covering this sport. Most of those bad reviews were in respect to his lack of end-product, but Ronaldo has certainly answered them with more than 200 goals over the last 5 years. Not surprisingly, he then started being accused of lacking consistency when playing the so called "truly" important games. On this article, we'll show you statistical evidence proving otherwise, desmystifying the myth that Cristiano Ronaldo doesn't step up in the big games. It seems undeniable that Cristiano Ronaldo has turned into a remarkably different player from what he was back in the days where he used to dazzle the Old Trafford crowd, wearing a large Manchester United jersey that outlined his skinny body. Over the years, Ronaldo has worked hard to build a great physique and gradually started changing several aspects of his game. 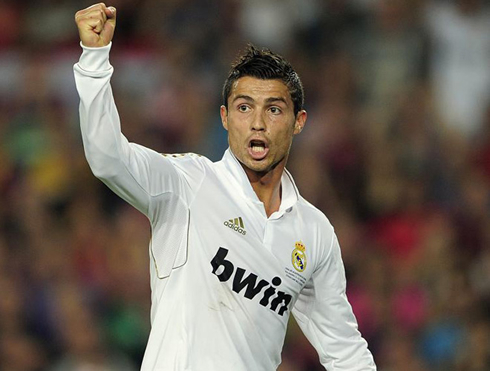 Until the 2007-08 season, many football experts and analysts claimed that Ronaldo would never turn into a world-class player unless he started bringing relevant numbers in terms of his end-product (goals and assists). From that season onwards, Ronaldo scored an impressive amount of 214 goals in 5 years (2007-09 still at Manchester United and 2009-2012 at Real Madrid), averaging roughly 43 goals per season and silencing all critics in that regard. His 246 apperances over this period, also led to a 0.87 goals per game average, still way below his more recent stats, obtained exclusively from the last 3 seasons at Real Madrid, where he pulled off a 1.01 goals per game average (as a result of his 144 games and 146 goals between 2009-2012). Following the end of the critics about Cristiano Ronaldo being unable to provide enough goals and assists in order to be considered a top-player, a different thesis came up, this time regarding Ronaldo's lack of consistency in making the difference whenever an important game was at stake. Several media insisted on this idea for a long time and everytime the Portuguese star doesn't score a goal in a big stage, may that be in representation of the Portuguese National Team or Real Madrid, some fans and analysts still prefer to support themselves on this fallacious view to point it as one of Ronaldo's biggest flaws. One thing that most people seem to be overlooking, is that Ronaldo keeps maturing as a player in Real Madrid and over the last years he has been showing an ability to still leave his mark on games where he doesn't pull off top-notch performances. Alongside with this fact, Ronaldo has also evolved into a player who is aware of the benefits of not limiting himself to waste most of his energy running down the line, over and over. These days, CR7 is more of a combination between a fake winger and a disguised second striker. The results speak for themselves, with Ronaldo breaking several all-time records since he arrived at Real Madrid and scoring in most of the big clashes he had ahead of him over the last seasons. In order to assess how Cristiano Ronaldo has been doing in the big games he has been involved over the last 2 seasons, we've used an objective criteria that allowed us to select a specific pack of important matches. We've accounted for both Real Madrid and Portugal games, in a total of 43 matches filtered from more than 120 appearances that Ronaldo had since the 2010 World Cup. ::: La Liga matches against the teams who finished in any of the top 4 positions at the end of that season (2010/11: Barcelona, Valencia and Villarreal; 2011/12: Barcelona, Valencia and Malaga). ::: All games for Portugal, from the 2010 World Cup and the EURO 2012 competitions. ::: All games for Real Madrid at the UEFA Champions League knock-out stages, regardless of the opponent. ::: The 2 games against AC Milan during the UEFA Champions League 2010/11 group stage, due to the fact that the Italian side is a 7-time European Cup winner. Ronaldo didn't perform at his best at the 2010 World Cup in South Africa, but neither did the Portuguese National Team impress that much to say the least. In the 4 games played at this tournament, Portugal won one, drew two and lost against Spain, already at the knock-out stages. As for Cristiano Ronaldo, he didn't manage to be as decisive as he is used to and he only scored a single goal when Portugal ran over North Korea by 7-0. 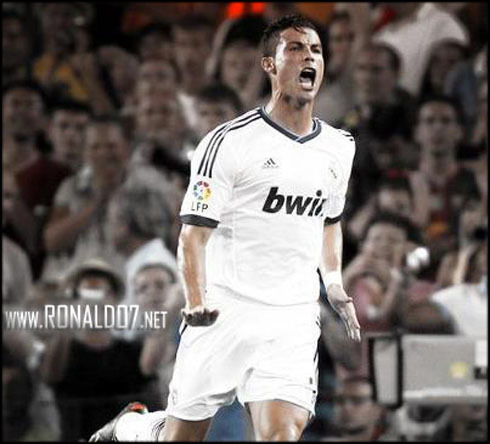 Ronaldo's consistency was set at 25%, his lowest mark within the period we will be analyzing. 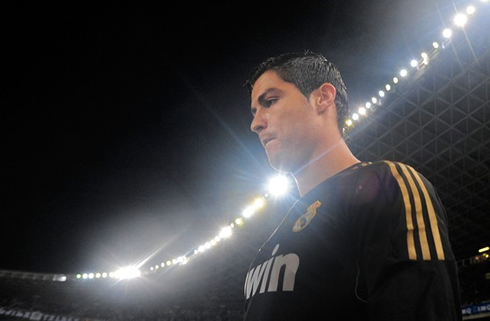 The 2011/2012 season finally rewarded Cristiano Ronaldo with a Spanish League title. The Portuguese star scored 46 goals in La Liga, 4 less than Barcelona's Lionel Messi, but was decisive in several important games during the Merengues campaign, reaching a 56% consistency in "Big Games" and averaging 0.83 goals in the big stages games. As we can easily see, both metrics improved from the previous season, but Real Madrid failed to reach the UEFA Champions League once again, despite Ronaldo's brace in the semi-finals home match against Bayern Munich. As for the Real Madrid vs Barcelona head-to-head, Ronaldo scored 4 goals out of 6 Clasicos (which resulted in a consistency near to 67% against the Blaugrana). Portugal has never been one of the main favorites to win a major competition and at the start of the EURO 2012, the story wasn't any different. However, since Ronaldo's debut for the Portuguese National Team in 2003, the truth is that the team has never again failed to qualificate to a big tournament (EUROs and World Cups). Moreover, Portugal has always got through from the group stages: EURO 2004: Final; World Cup 2006: Semi-finals; EURO 2008: Quarter-finals; World Cup 2010: Last 16; EURO 2012: Semi-finals. Before this Ronaldo's era, Portugal had only qualified 3 times for previous World Cup editions (1966, 1986 and 2002) and another 3 times for previous European Cups (1984, 1996 and 2000). 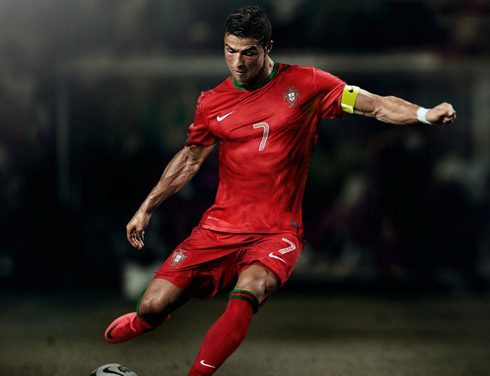 At this summer's EURO 2012, Ronaldo has finally raised to the occasion, by scoring twice in the last and decisive game from the group stage against Holland, a feat that allowed Portugal to beat the Dutch side and follow through to the next stage. 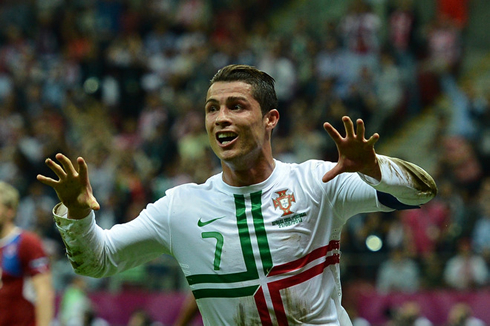 At the quarter-finals, Ronaldo scored again, sending Portugal into the tournament's semi-finals after a 1-0 win against the Czech Republic. Portugal has bowed out against Spain at the next round, but Ronaldo has proved once again to be a key player for the Portuguese side, with a 40% consistency ratio and an average of 0.60 goals per game in the tournament. As we can see from the last table computed above, Ronaldo's consistency over the last 2 seasons in the so called "Big Games", is at a remarkable rate of 51%. This means that Ronaldo left his mark with at least one goal in slightly more than half of the big games where he has played for Real Madrid and the Portuguese National Team. The same is to say that we can expect Cristiano Ronaldo to put his name on the scoresheet at least once, every two "Big Games" where he is involved at. As for the 'Average of Goal(s) per "Big Games" ratio', it may also be interesting to stand out how prolific Ronaldo has become, even when playing at the big stages. The 0.74 ratio indicates precisely that Ronaldo scores an average of 0.74 goal(s) per "Big Game", a stat that can't be disregarded and surely helps desmystifying the myth that Ronaldo doesn't step up in the big games! Nonetheless, this 0.74 ratio ends up being naturally below the 0.98 and 1.09 ratios Ronaldo obtained when accounting all his games for Real Madrid, in the 2010/11 and 2011/12 seasons respectively (ratios computed on the first table displayed on this article). We hope this article may help many football enthusiasts to construct a different view on how they judge Ronaldo, since most of the times we all tend to overlook the numbers and the stats that don't stand out at a first sight.